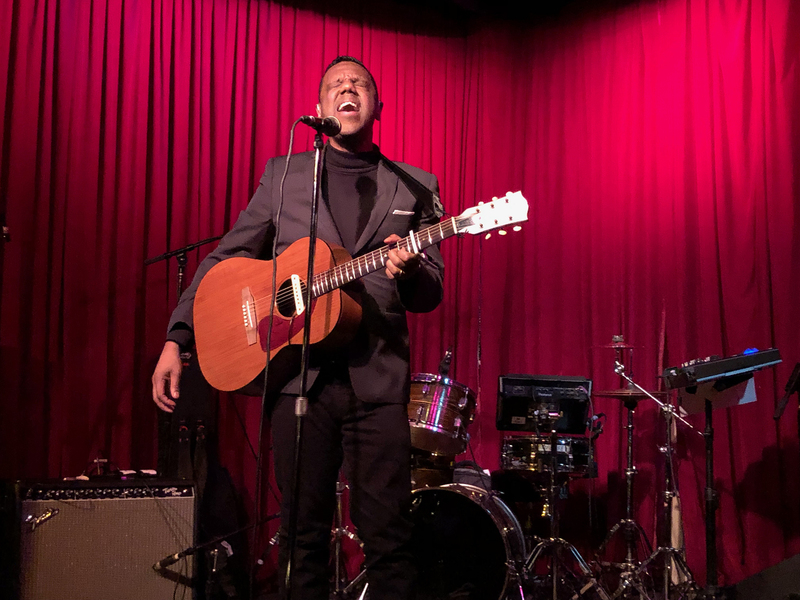 Murray A. Lightburn paid a visit to the Hotel Café in Los Angeles en route to a series of performances at South by Southwest earlier this month. 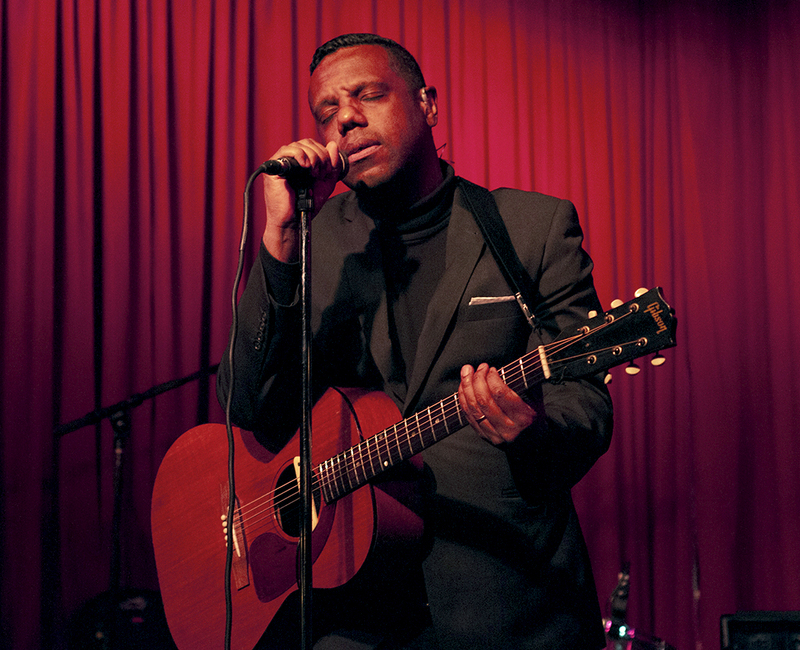 The singer and guitarist for Montreal’s The Dears was on the road to promote his latest solo album Hear Me Out on Dangerbird Records. While Hear Me Out is technically Lightburn’s second solo outing, its delicate guitar, piano and vocal arrangements are a far cry from the electro-pop sound of 2013’s Mass:Light. 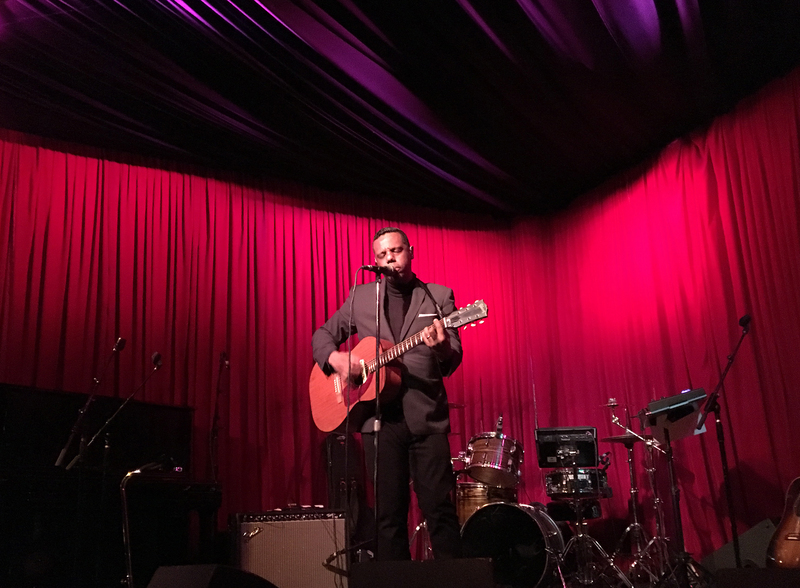 Classic pop and soul influences have added subtle contrast to The Dears’ music in the past, but here they are at the forefront, showcasing Lightburn’s considerable skills as a vocalist and composer. The last time Lightburn played solo in Los Angeles, he hired a string quartet the day of the show for accompaniment. His confidence as a solo performer has clearly grown since then. With only an acoustic guitar and his formidable voice to fall back on, he proved more than capable of holding his own onstage. The small crowd watched and listened devoutly as Lightburn performed. As the show progressed, the singer grew increasingly quiet, until he was in danger of being drowned out by the sound of the bar being restocked nearby. 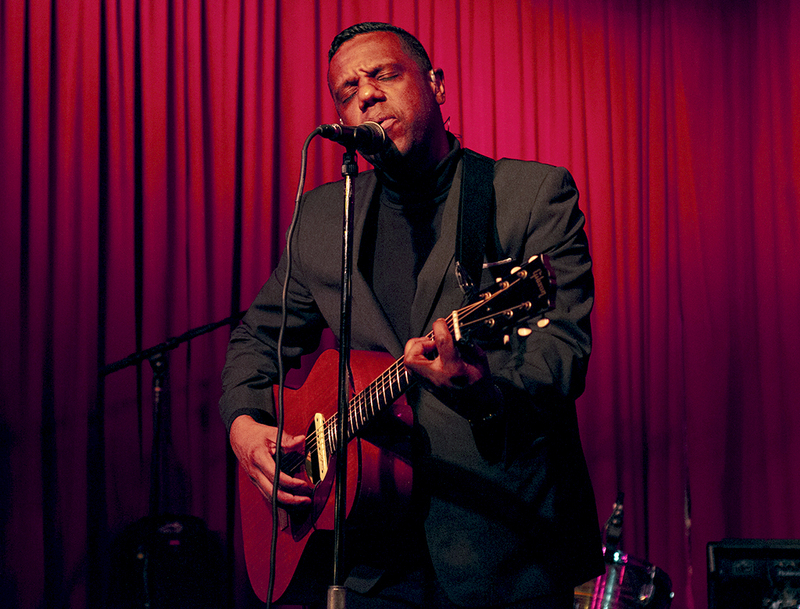 During an intense rendition of “There Goes My Outfit” from The Dears’ Gang of Losers album, Lightburn stopped playing guitar entirely, singing the final verse a capella. It would be a cliché to say you could hear a pin drop, but the click of a camera shutter was audible in the room – leading us to sheepishly abort our photo session. It was a stark performance from a songwriter known for layered production and occasionally bombastic space rock. The new material worked great in this context, and even the song “Mass:Light” was given a new birth, shorn of the electronic beats and keyboards that distinguished the recorded version. 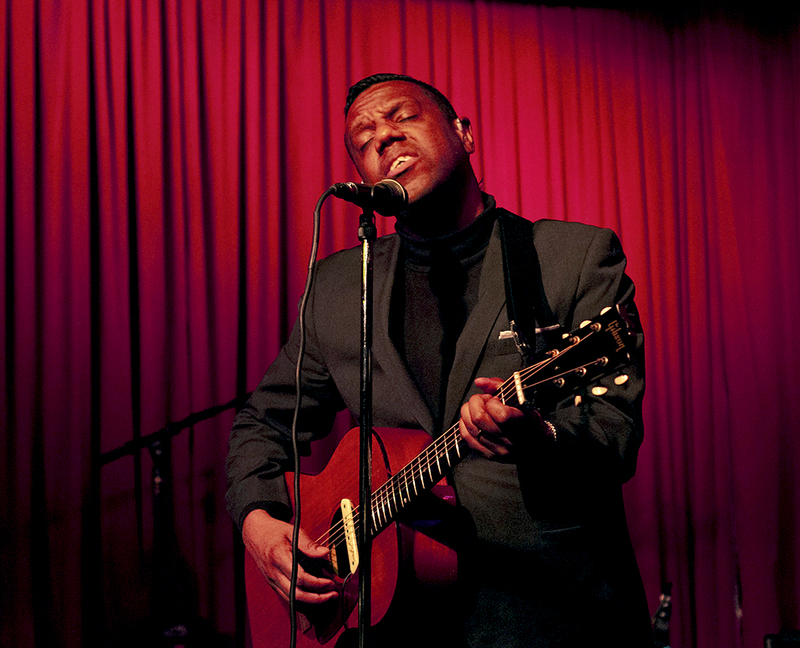 With or without a band to back him up, Murray Lightburn’s unique and powerful voice continues to ring with sadness, beauty, and soul.